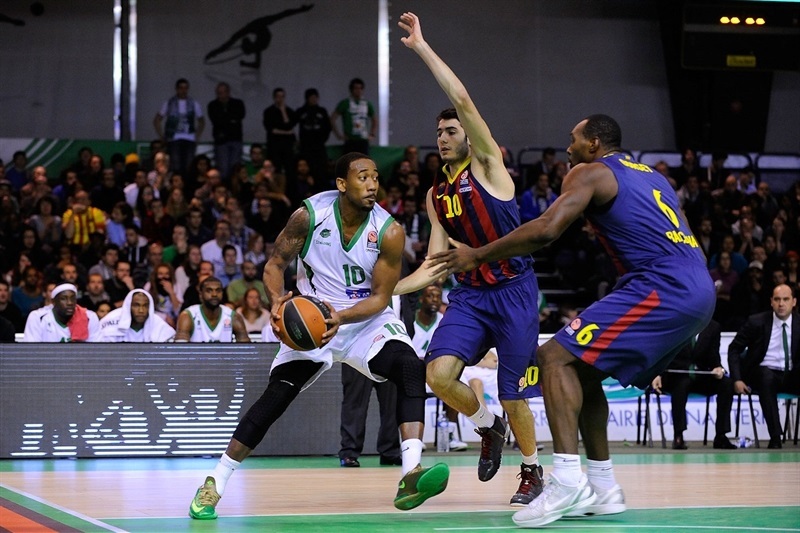 FC Barcelona took revenge for its only home loss this season by holding back hard-charging JSF Nanterre to prevail 78-82 in Paris on Friday for its fifth consecutive victory. Barcelona is now 6-2 and alone in second place of Group A, one victory behind leader Fenerbahce Ulker Istanbul. Nanterre fell to 3-5, but still occupies fourth place, the last that comes with a Top 16 qualification, with two games remaining in the regular season. Nanterre tried to repeat its earlier upset of Barcelona by making an 11-2 run with under 2:30 to play to get within 78-80 with possesion and 28 seconds left. 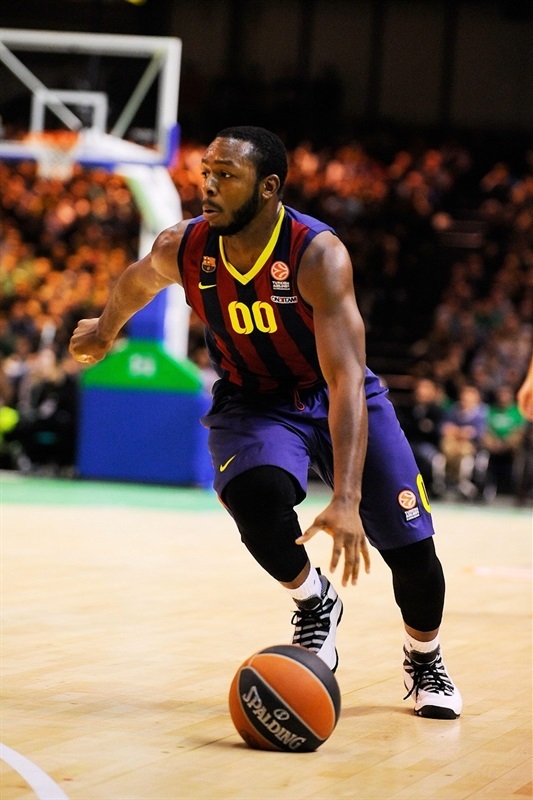 After a timeout, David Lighty drove to basket trying to tie, but missed, leaving the victory the Barcelona. Juan Carlos Navarro led the winners with 15 points, including two early free throws that put him in second place on the Euroleague's all-time foul-shooting list. 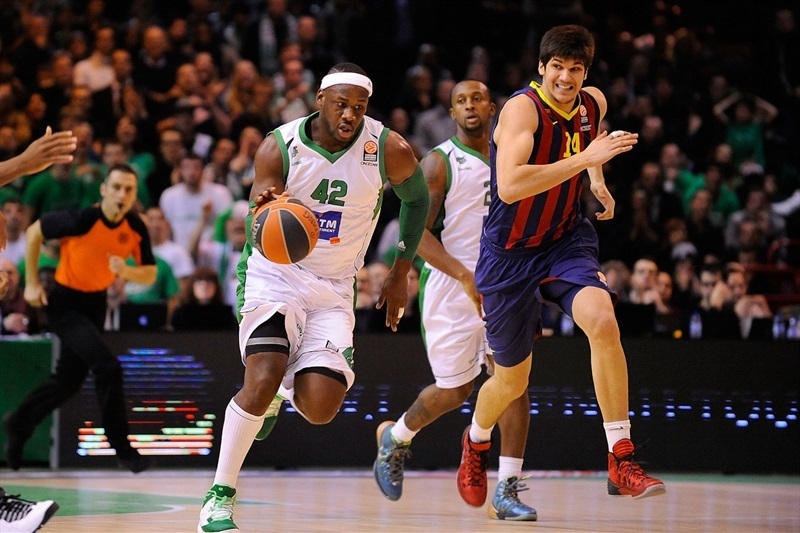 Maciej Lampe added 14 points and Alex Abrines 13 for Barcelona, while Ante Tomic had 9, 8 rebounds and 3 assists. 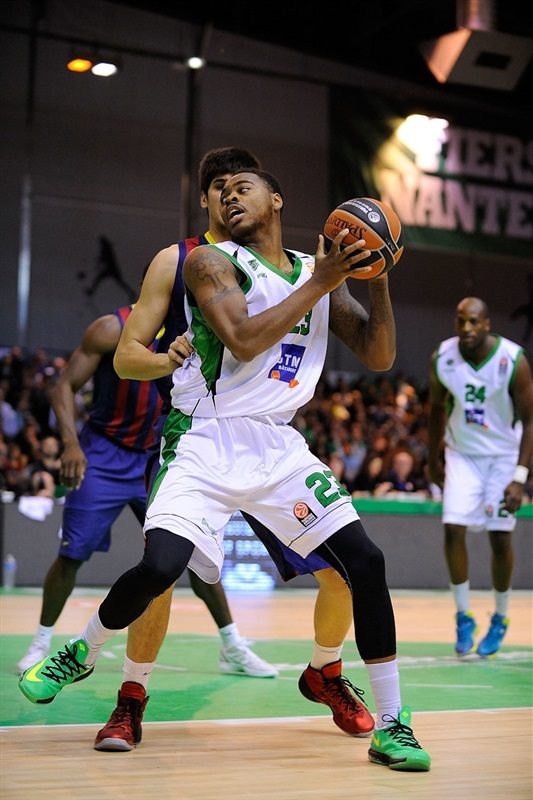 Lighty led Nanterre with 18 points, while Ali Traore added 14, Will Daniels 13 and Johan Passave 12. Marcelinho Huertas got the roll on a running one-hander to open the scoring before Passave made a save and tip-in to get Nanterre on the scoreboard. Navarro's off-balance shot was answered by Passave's second put-back. Tomic scored easily then dropped 1 of 2 free throws to make it 4-8. Neither team could find the basket for a while, but more and more offensive rebounds didn't help Nanterre until Daniels landed a turnaround baseline jumper. Tomic remained unstoppable for the guests, but Deshaun Thomas came on-court and quickly blasted a triple to tie it up, 9-9. Navarro got the free throw line early and hit both tries, giving him 674 for his career and moving him to second place in the Euroleague this century, behind only Marcus Brown. Lighty responded with a jumper for Nanterre, while Joey Dorsey and Traore traded inside baskets to keep the game tied 13-13. Navarro made his "la bomba" runner before Traore and Dorsey exchanged shots around the rim again. Jekel Foster drove for Nanterre to restore the tie before Traore blocked Barca's last shot of the quarter, sending Thomas ahead for a buzzer-beating layup and a 19-17 Nanterre lead after 10 minutes. Jacob Pullen quickly tied it the score again and Abrines struck from downtown for a 19-22 visitors' lead to open the second quarter. Barcelona went then to Lampe for a jumper and 2 free throws. Lighty and Passave got 4 points back for the hosts before Lorbek celebrated his first appearance all season with consecutive baskets to make it 25-32. Lighty was the only Nanterre scorer for a couple minutes, but did 5 points' worth of damage to make it 30-34. Kostas Papanikolaou fed Lampe for an easy two before Daniels pumped in a triple, but Lampe was ready with a hook shot to make it 33-38. Lampe's free throws and Victor Sada's two-pointer gave Barcelona a 33-42 lead before Williams got a layup and a put-back to make it 37-44. 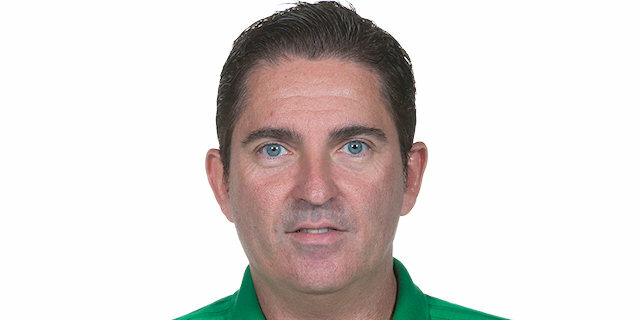 Nanterre's last possession of the half went all wrong, as Lighty forced a shot off a loose ball that Abrines rebounded and raced with and passed to Navarro across halfcourt. The Euroleague's all-time leading scorer buried a three-pointer on the buzzer for Barcelona's high lead, 37-47, going into the break. An easy dunk by Nachbar started the second-half scoring, while Nanterre found a new sub, Xavier Corosine, to answer with a jumper. 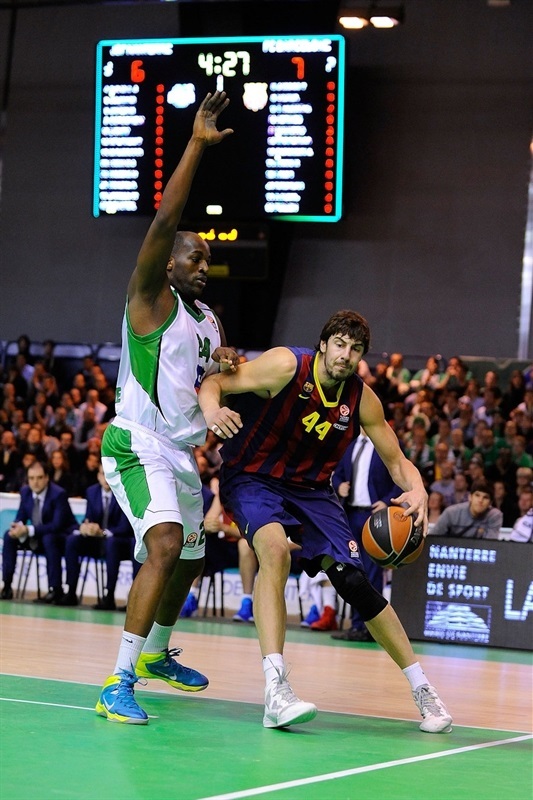 Tomic fed Abrines for two easy baskets, one a backdoor dunk, but Traore got all 4 points back with 2 inside shots. Tomic was on the receiving end of the next pass, and dunked it. Lighty responded for Nanterre, but the hosts were in no position to only trade baskets with the difference still at 10 points, 55-45. Out of a timeout, Traore and Lighty put back offensive rebounds, although in between Nachbar got the roll on a three-pointer. When Abrines was left open in the corner, he got back Barca's double-digit lead at 49-60. Lighty fed Passave for a layup that Tomic matched at the foul line. The point-trading continued as Corosine and Passave shared 4 of 8 free throws before Pullen fed Dorsey for a dunk. Passave then stole and went coast to coast for a layup that cut the difference to single digits, 57-66, after 30 minutes. 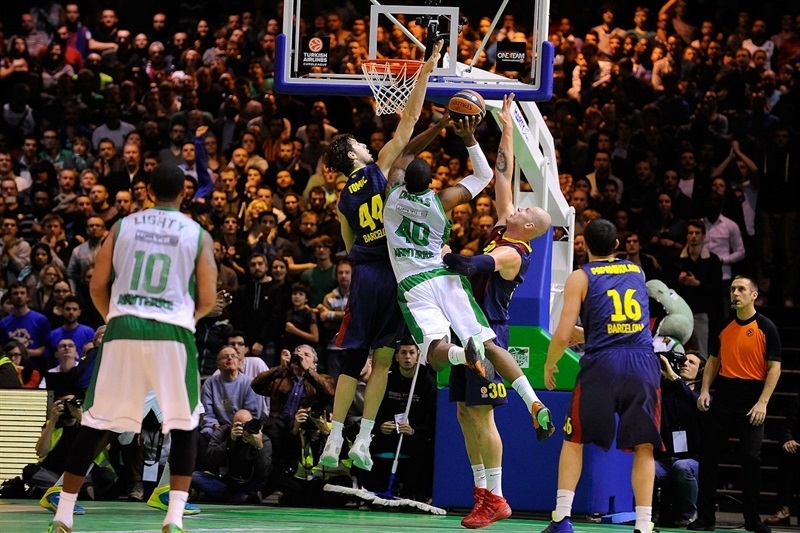 Sada drove past a sleeping Nanterre defense for a basket-plus-free throw to open the fourth quarter. Traore returned with a much-needed bucket for the hosts, but Marko Todorovic erased that with a free throw and an inside shot for the game's high lead so far, 59-72. After a timeout, Traore put back Nanterre's 12th offensive rebound, but couldn't stop Lampe from scoring in close. Trent Meacham's jump shot meant his first points, which Lampe erased at the foul line with the score 63-76. Lighty made a great layup and Daniels finished another layup strong to drop the difference again, to 67-76. That's where both teams' offenses stalled, however, with no points scored for almost 4 minutes until Navarro hit 2 free throws to make it 67-78 with 2:40 to play. Meacham reacted with a big triple and then a fall-back jumper from the lane at 72-78, as close as Nanterre had been for some time, with 1:35 to play. Navarro took responsibility with a needle-threading runner, but Foster buried a corner triple at 75-80 entering the final minute. Then Lighty measured and drilled a transition triple that brought down the house and made it 78-80 with 45 seconds left. After a timeout, Lighty blocked a shot off Navarro, who was out of bounds, giving Nanterre a go-ahead opportunity. Lighty's runner was well defended and Lampe rebounded as Abrines raced downcourt to seal the deal with a layup and send Barcelona home with a victory. "Of course I’m disappointed, but it is difficult to have regrets on this game. This time they were focused and they deserved to win, but we were very close with this last possession to tie or win. We prepared for this game to try to win it as we need one last win, but we still have two more games to try to achieve our goal. 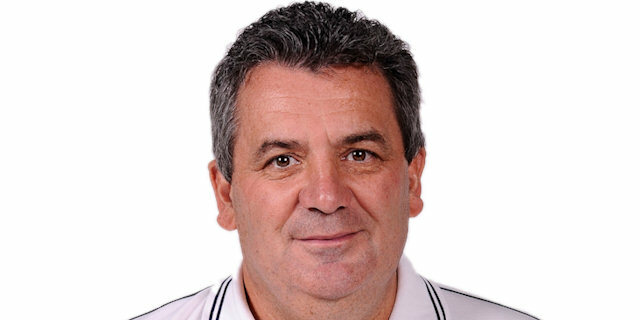 We adapted during the second half, but defending the pick-and-roll with players like Huertas, Navarro, Tomic, etc…. it’s very difficult. We had to try to stop their post-up situations though and we adapted better on this. We need to bounce back in the French League Sunday, but it’s difficult to play again in less than 48 hours. But we need to realize we were close, we had strength to come back in the game and try to win the game on the last possession, and get together to try to win this game that is going to take us to the Top 16." "We are very happy with this win, which is very important for us. We played seriously; it was a very intense game. The last three minutes were very tough, Nanterre played with a lot of pride. They hit a few tough shots, but we focused on the last defense and played a great last defense. Nanterre did not make many three-point shots before the last quarter, but we didn’t as well. It was a balanced game on this particular point. We are overall satisfied with this game as we maintained a 10-point advantage almost all through the game. 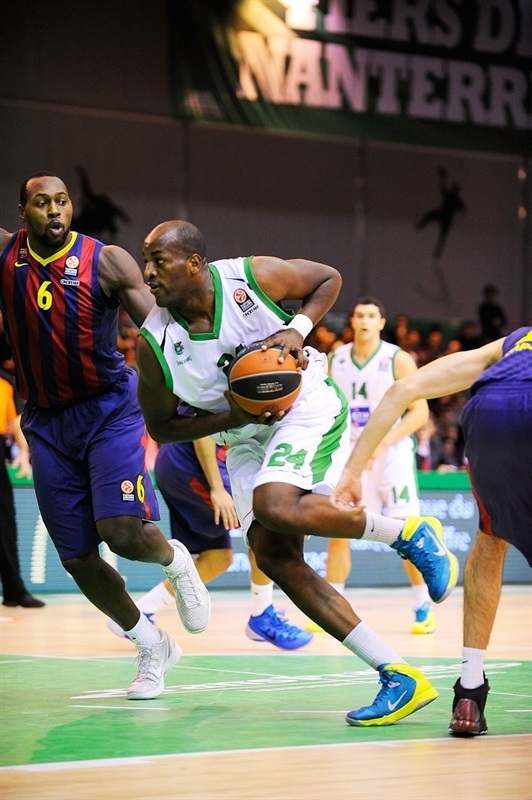 We wish Nanterre good luck and they can definitely get to the Top 16."